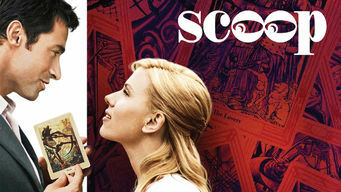 How to watch Scoop (2006) on Netflix USA! Sorry, Scoop is not available on American Netflix, but you can unlock it right now in the USA and start watching! With a few simple steps you can change your Netflix region to a country like Japan and start watching Japanese Netflix, which includes Scoop. We'll keep checking Netflix USA for Scoop, and this page will be updated with any changes. Scoop is not available in USA BUT it can be unlocked and viewed! While visiting friends in London, an American journalism student beats out Britain's top reporters by breaking a story involving murder and magic. She gets a hot tip on a serial killer case from beyond the grave. But the handsome suspect is hard to resist. There is a way to watch Scoop in the USA, even though it isn't currently available on Netflix locally. What you need is a system that lets you change your Netflix country. With a few simple steps you can be watching Scoop and thousands of other titles!